After an automobile accident, Isabel St. James—resident drama coach and drama queen—needs help putting together the church play. Mama insists April Grace and Myra Sue will help. April’s fall is now devoted to spending every afternoon with Isabel and Myra Sue—if anyone is as big of a drama queen as Isabel, it’s Myra Sue. Plus, she’s dumb. (Okay, not dumb, but "older sister dumb.") If that’s not enough, Isabel is wreaking havoc in the community trying to get Rough Creek Road paved, the new boy at school will not leave her alone, and then Mama drops the biggest bombshell of all . . . April Grace is no longer going to be the baby of the family . . . 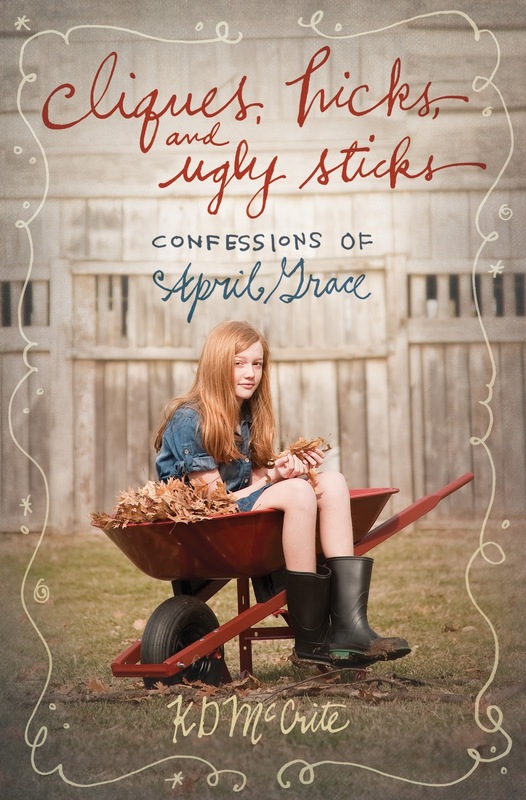 I just LOVED the teenager, April Grace. Her voice is so unique, quirky and funny and sarcastic and surprising. I laughed out loud while reading this book more than five times, which is extremely rare for me, except when I'm reading Georgette Heyer (but that's another thing altogether). I loved to see her struggle and see her grow, I loved her disarming honesty to herself (and the reader) and I loved what she learned about family and relationships with God. I didn't care about how her mother was portrayed, it left me feeling cold and I am sure that was not the intent of the author, and also I tought there were many things going exceptionally wrong with the church and everyone's conceptions of God and what is right in His eyes. I would not recommend this book if that's what you are interested in reading about, because it is a very minor if at all part of the whole thing. Otherwise, it was a sweet and funny coming-of-age story, and only if the 'church' element was missing, it would make a wonderful young adult or middle grade novel. I received this book from Booksneeze in exchange for an honest review.